Welcome to Tenkara in the Isle of Man. Fishing in the Isle of Man using Tenkara methods on our numerous rivers and streams is very rewarding. The fish might not be huge but they are wild fish. The trout that populate our rivers have a variety of colours from pale to almost black depending on their environment. 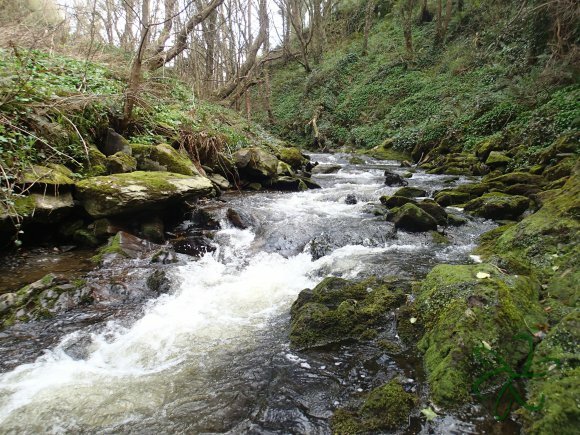 You can fish wider stretches of water where our main rivers reach the sea or you can choose from one of our multitude of breathtaking Glens with their smaller streams. 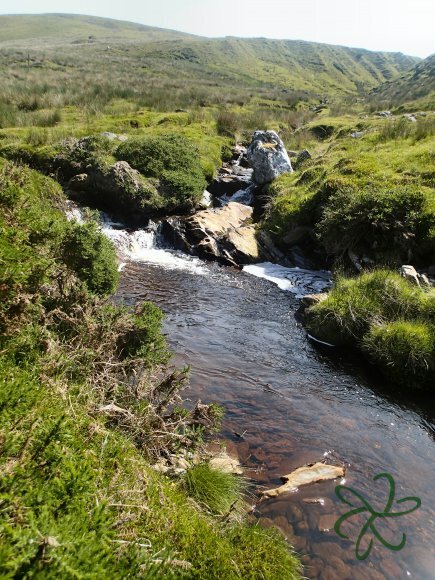 If you're part mountain goat, or really like the challenge of peat stained, upland waters then we can accommodate you there as well. We have a number of waters that are only accessible if you're prepared to make the climb up narrow gorges, through peat bogs and knee deep heather. The waterfalls and plunge pools hidden in these high mountain gems of water are spectacular and do hold fish. If you choose to fish only authentic Kebari from Japan or you have favourite western patterns with tungsten beads then the Isle of Man waters are a place for you. Although the fish are very spooky they can be, on their day, very obliging to whatever you present. Trout, being trout, are not always in a taking mood and you can watch the wild fish, rise from the depths or emerge from under the bank and swim behind your fly without taking it. The same fish will do this again and again. Answers to this conundrum on a postcard please! Let's get one thing straight early on. I am total bias. I run Esoteric Tackle the shop and the brand and I will be reviewing my own products and products I sell. That's because I won't sell anything I would not use myself and strive to give my customers the best quality at the best price. Having said that I'll also be talking about things I'm trying or experimenting with. Not necessarily for sale and may never be. If something new comes up, and it works, I'll be seeking a source so I can bring it to you. Fishing is a life long journey for me with something new every time I go to the water. We're not quite fishing in the main stream here! ...but Tenkara is becoming more widely accepted.